Hppsc has invited application form for the posts of Post Graduate Teachers in the Department of Higher Education. Form for Post of PGT teachers Class-III non gazetted (contract basis) will be be available online on the Commission's website till last date 16th August, 2016 , 11:59 PM. 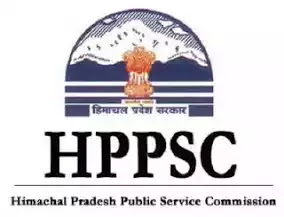 Detail for HPPSC PGT , name of the posts, number of posts, age limit, pay scale, qualification. Candidates applying for post of pgt in any subject should posses one of the following degree given below. Bachelor of Education (B.Ed.) from any approved University/ Institutions. Two years integrated M.Sc. M. Ed. Course or its equivalent from any approved University/ Institutions. Candidates those who want to apply for HPPSC PGT exam , should be 18-45 in age. Relaxation to candidates will be according to HPPSC rules. Candidates have to apply for the post by log in to official website of commission (www.hp.gov.in/hppsc). Select post for subject candidate want to apply. Submit online recruitment application (ORA) and take print out for future use. Pay needed fees and don't forget to attach required documents and other details carefully.